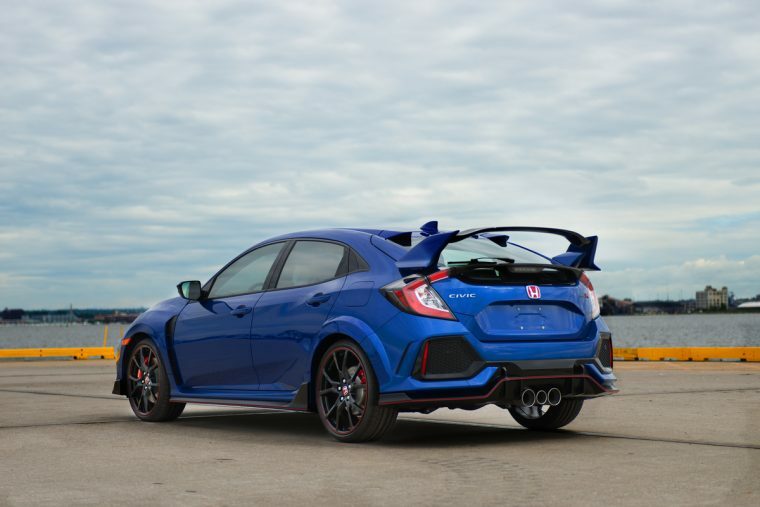 The Formula One season is returning to France this year, but Honda has already beaten its F1 team by sending the Civic Type R to the Magny-Cours Grand Prix circuit, where the hot hatch set a new lap record for front-wheel-drive production cars. With road legal tires and World Touring Car Cup driver Esteban Guerrieri at the wheel, the Civic Type R went around the lap in 2 minutes and 1:51 seconds. The car was in its European spec, which is slightly more powerful than the American version, with 316 horsepower and 295 lb-ft of torque. Honda plans to bring the Civic Type R to several other famous European circuits, including Portugal’s Estoril, Hungary’s Hungaroring, England’s Silverstone, and Belgium’s Spa-Francorchamps—all four of which are either current or former circuits on the F1 calendar. For each of the four circuits, Honda will also have four world-class drivers to bring out the best in the Civic Type R: Jenson Button, F1 world champion; Matt Neal, British Touring Car driver; Tiago Monteiro, World Touring Car Cup driver; and Bertrand Baguette, Super GT driver. (One wonders why Baguette wasn’t selected for the French record run). There’s no guarantee the Civic Type R will set a record at any of these circuits, though if it weren’t capable of it Honda would likely not be this confident. And what about the most important circuit of them all—the Nürburgring Nordschleife in Germany? Well, Honda has already had that record for over a year.